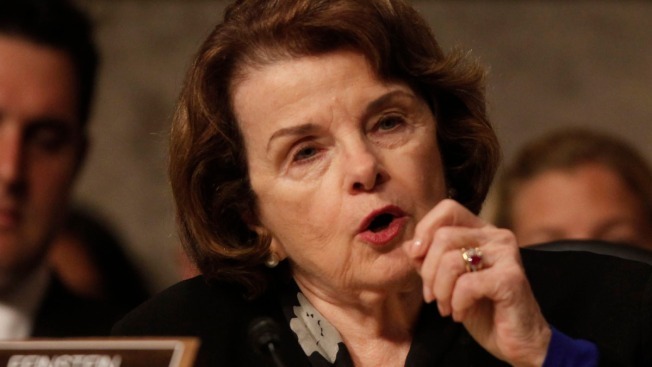 Did Dianne Feinstein see a drone outside her Pac Heights home? Is Sen. Dianne Feinstein seeing things? Or is it merely Code Pink throwing dust -- and drones -- in her eyes? The powerful senator told a hearing in Washington not long ago that she'd spotted a drone outside the window of her Pacific Heights home. That could have been a toy helicopter flown by Code Pink at one of the peaceniks' protests organized outside of the Feinstein manor near the Lyon Street steps, according to the San Francisco Bay Guardian. And there's another drone-spotting opportunity Tuesday, according to reports. Code Pink, the anti-war, anti-surveillance, anti-big government activists, will "surveil and monitor" the senator's home on Tuesday afternoon as part of a larger, nationwide series of protests on "The Day We Fight Back."